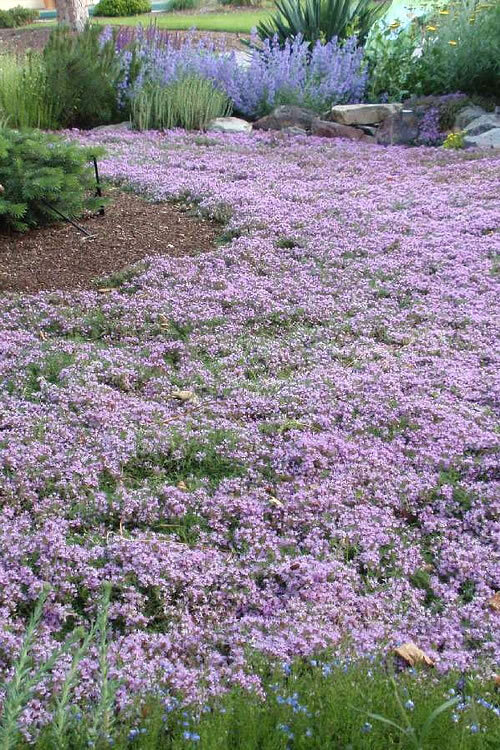 Thymus serpyllum, commonly called wild thyme, creeping thyme or mother-of-thyme, is a hairy, prostrate, creeping, woody-based perennial which is primarily grown as an ornamental ground cover. It is rarely used in cooking. (Thymus vulgaris is the culinary thyme most commonly used in cooking.) 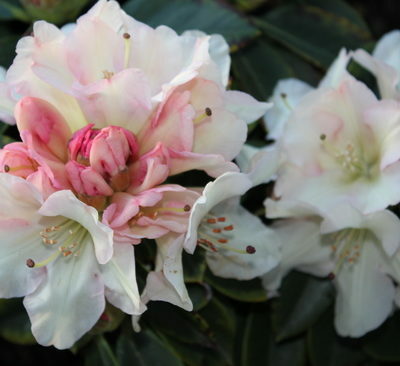 ‘Pink Chintz’ has salmon-pink flowers and slightly woolly, dark olive green leaves. 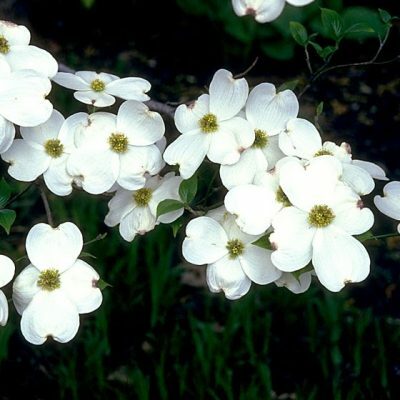 Easily grown in average, dry to medium moisture, well-drained soils in full sun. 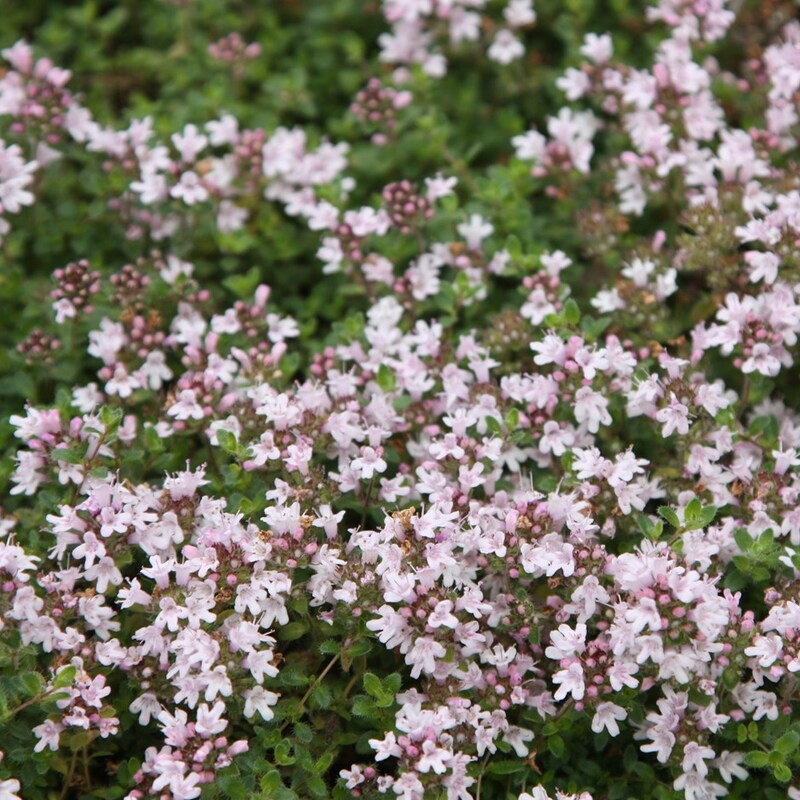 Best grown in loose, sandy, gritty or rocky, nutrient-poor soils with sharp drainage. Tolerates drought. Dislikes moist to wet soils where rot may develop. Plants are evergreen in mild winters. Cut back stems as necessary to maintain plant appearance, to control growth/spread or to limit unsightly woody stem growth. 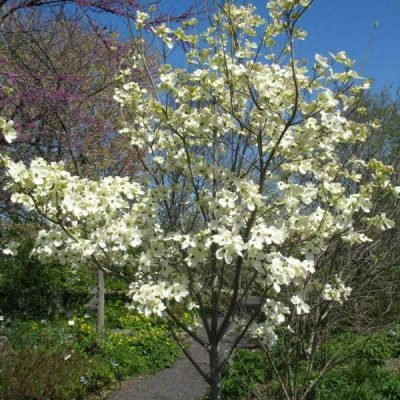 Divide plants that become densely woody.